Raquel Carlson is our REFUGE worship leader at Emmanuel Enid. She cordinates two REFUGE contemporary worship services each Sunday in our multi-purpose building. Raquel is a gifted musician and songwriter. One of her original compositions is entitled Said and Done. 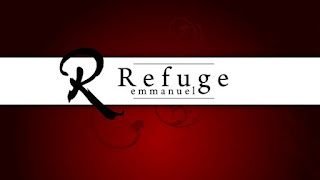 Sit back and enjoy this song from Emmanuel's REFUGE worship band (click on the play button). Thanks, Debbie, for the affirmation! You fly high! Beautiful song and beautiful voice! Thanks for posting it.